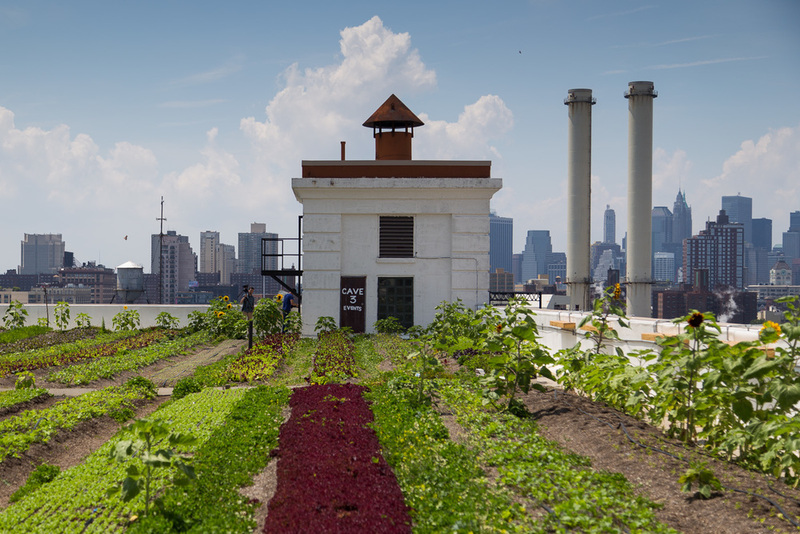 Brooklyn Grange is the darling urban rooftop farm organization of New York City. It’s been covered extensively in all sorts of media outlets (National Geographic, Al Jazeera, New York Times) and for good reason. It’s a really interesting project and one that went from an experimental to successful business pretty quickly. 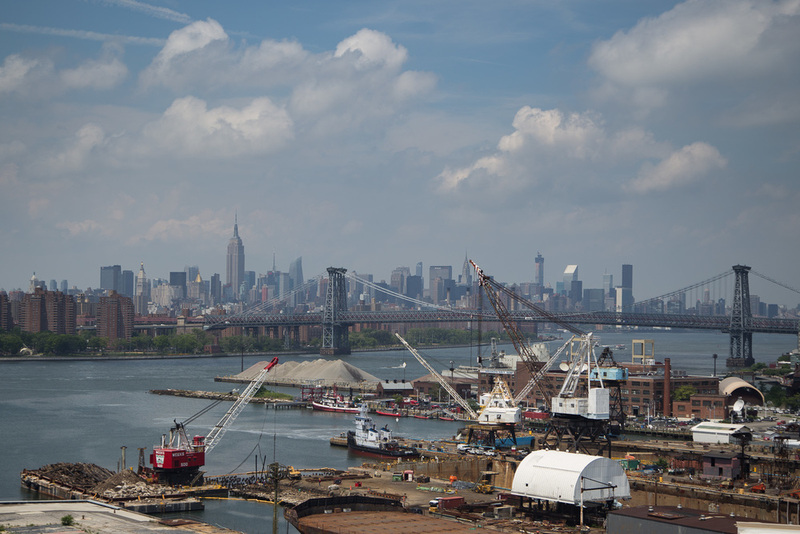 Based in Long Island City, Brooklyn Grange also has a farm in the Brooklyn Navy Yard, which I recently got to visit. It was started in 2010 by a team of urban farmers including Ben Flanner, who had run the Eagle Street Farms in Greenpoint. 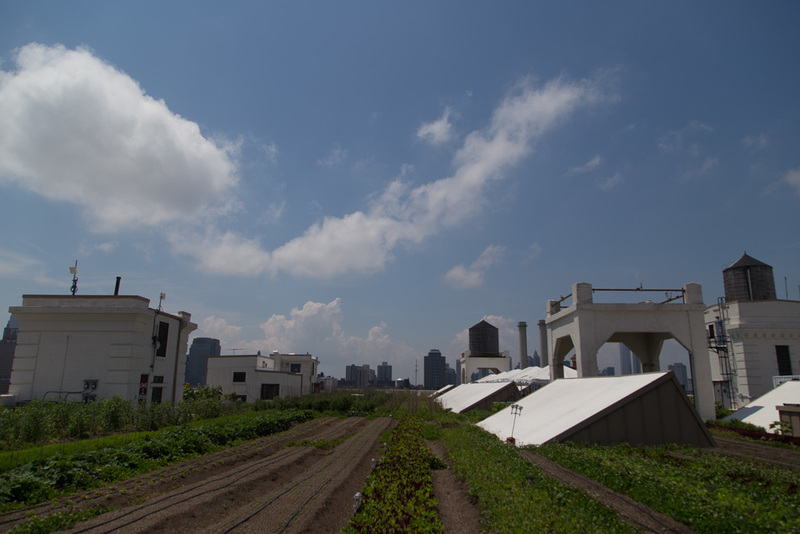 I visited that farm years ago for a friend's book release party and remember being completely amazed by the feeling that you could stand in the middle of a row of vegetables, on a roof, and look at the New York City skyline. It was surreal. Now, we’re in a bit of a boom for urban rooftop farming. The Brooklyn Grange has a 20 year lease with the city and was financed by the Department of Environment Protection as part of a program to reduce storm water runoff. The farm produces all sorts of vegetables, leafy greens and herbs. And they also have bees and chickens. Mostly they sell to restaurants, though I’ve been getting a lot of their lettuces from the Green Grape in Fort Greene. To build the one-acre farm in the Navy Yard, they needed to get some one million pounds of soil 12 stories up onto the roof of a Navy Yard building. They used a blower truck and the whole process took about two weeks. The soil itself looks rocky but is specifically designed for the rooftop (lighter and lasts longer apparently). Perhaps not surprisingly, the Brooklyn Grange has already sold their farm for the year, meaning they are not taking on any customers. Demand has exceeded supply. 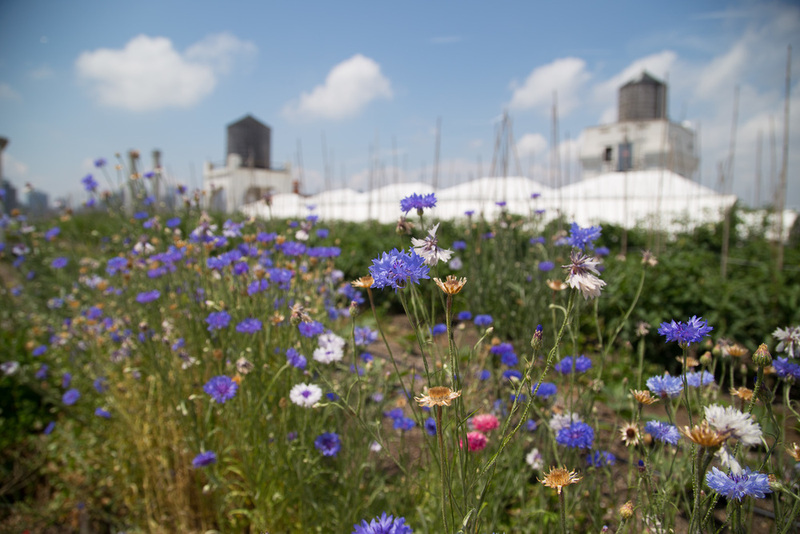 Combine that will the growing number of events that they’ve started hosting like a Fourth of July fireworks party (sold out), weddings, yoga classes and their side business building private rooftop farms and gardens and you realize that the Brooklyn Grange is a very savvy business. And of course the vegetables taste good too. If you’re interested in visiting the farm, they have free tours every Wednesday. Sign up here.